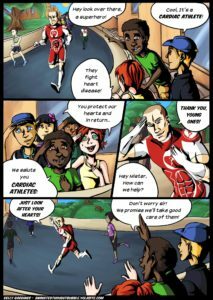 Anyone can now join Cardiac Athletes. You don’t have to be a heart patient who now runs. We welcome anyone who wants to get involved with our community and who is keen to see Heart Disease beaten once and for all. We need supporters, sponsors, donors, family and friends. The more the merrier. Although we are addressing a serious disease that nearly killed many of our present members we have decided to have as much fun with our lives as we can whilst at the same time tackling this illness. Join our Closed (Private) Facebook Group or sign up to our private Forum to get talking to other Cardiac Athletes and supporters. Talk ranges from upcoming races, to training techniques and what is happening in your lives at the moment. It is a real community and always a hub of activity! 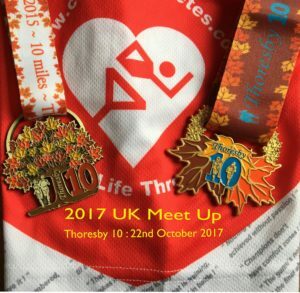 Many of our members have bought the Cardiac Athletes Team kit and wear it with pride, even though they might not run in competitive races. It helps raise awareness of who Cardiac Athletes are and the good things we do. Some of our members have set up stalls at relevant events with leaflets provided by the various Heart Societies and Heart Foundations, etc, around the world happy to reach out and educate the general public on how best to maintain a healthy and fit heart. Some CA members have run in marathon relay teams where either fitness or cardiac condition has dictated that it would be foolish to attempt the entire distance as an individual competitor. We are a WORLDWIDE Organisation! Cardiac Athletes meet up around the world forming state/county or inter-state/county teams which are a lot of fun. Each year there is a major meeting or running festival in the USA arranged by members of CA who set up the group H.E.A.R.T. who organise these large and extremely popular events. Partners and spouses love these meetings too because it gives them a chance to discuss heart worries with other Cardiac Athlete supporters and aleviate many of their fears and concerns. And besides these meetings are a great deal of fun. 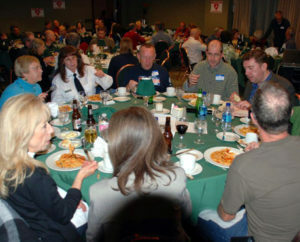 There’s usually a big banquet and a run event for either relay teams or individuals. We have our own (‘tongue-in-cheek’) special ‘CA Salutation’ which every spectator and supporter must learn and do correctly if and when they see a Cardiac Athlete in the Team Kit approaching in any running event – or even in training! We also have some “Super Hero” poses for you to try out, which you can see here. We’d love you to email us some photos of you doing the CA Salute, and your Super Hero poses to add to our website! Occasionally we run competitions and quizzes on our website, and prizes will be heart and or health and fitness related. Bookmark this page to keep up to date with competitions and quizzes, or just sign up to the forum! There are many levels of membership to the Forum. 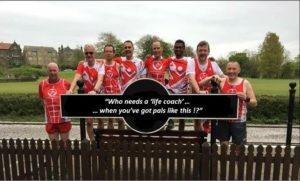 You can join as a Cardiac Athlete if you fit the profile, but you can also join as a Regular Supporter (usually family or friends of a Cardiac Athlete). We have a lot of fun being Cardiac Athletes – we celebrate life through our sports and training and we are pioneers of cardiac rehabilitation. We could rid this planet of Heart Disease if we all worked together – join us and do something extra worthwhile with your life. Help us with our mission and objectives and let’s all have fun in the process.